An anxiety disorder is characterised by a disabling fear which interferes in the conduct of life. Most anxiety conditions have been given a specific diagnostic criterion at some point, be that social anxiety, generalised anxiety or specific phobia. But diagnostic criteria are not really what an anxiety disorder is. Entered an unknown situation (new job). Risk being judged in some way (exam, public speaking). Have to go through something unpleasant (Dentist, confess a wrong). The anxiety, often more appropriately ‘apprehension’ in these situations, is appropriate and functional. Apprehension causes us to prepare in whatever way we can: study harder, brace ourselves, or talk the situation through (known as intellectualising). Sometimes we can’t take control of our apprehension and we get a full anxiety response. This means our ‘Flight – flight – freeze’ responses becomes activated and we respond in inappropriate ways: becoming paralysed with fear, running away or attacking. On-going life stress – too many stressful things going on in life for too long: moving house, a bereavement, a job change, poor sleep, overbearing boss etc. Surprise – Not being able to prepare for or having the wrong type of preparation for something difficult can cause traumatic learning, these are particularly bad when the person’s identity is challenged, as with unexpected criticism or job loss. These often lead to a fear that we cannot cope with such situations in the future and as such a pattern of avoidance is established, this then becomes subject to a process called ‘generalisation’. Generalisation is where the fear expands out from the original object or situation. For example a fear of a certain person at work starts to become a fear of work. This is generated by the belief that we cannot cope with the anxiety trigger (co-worker etc) and that we need to avoid any situation in which they may appear. Sometimes there are enough potential trigger situations and enough life stress that the anxiety is present more often than not, and an anxiety disorder has become established. At the back of the brain is the occipital lobe, which can be describes as ‘The minds cinema’ as it processes all the visual images we experience and store. The occipital lobe is unreliable at distinguishing between fantasy and reality so often when the mind thinks about a potential trigger situation it then triggers the Flight – flight – freeze responses as if it were happening. Refocusing thoughts – away from imagined catastrophe to probable reality. Learning relaxation to calm the Flight -fight- freeze response. 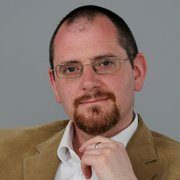 Matt Krouwel is a hypnotherapist in Birmingham, with over 18 years experience. He specialises in anxiety and anxiety based psychosexual problems such as Erectile disorder and vaginismus.